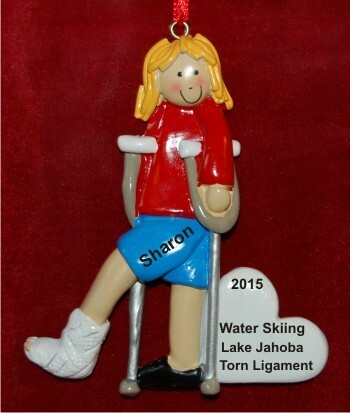 New Winter 2018: Her misadventure has landed her on crutches, and now a bit of cheering up is in order with a personalized medical ornament. The broken or sprained ankle female blond personalized ornament includes the details of what happened to her along with her name. 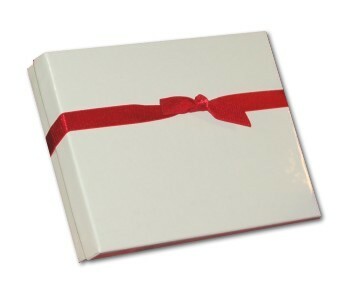 An artist will paint them by hand in an attractive font to create a personalized medical gift that is unique. The leg injury blonde female personalized Christmas ornament is available in brunette and male versions, and there’s a broken arm ornament too. Like many of our personalized Christmas ornaments, this one arrives with a display cord and our custom velvet pouch. Ornament with broken ankle needed Dec 4, 2016 Karen C.